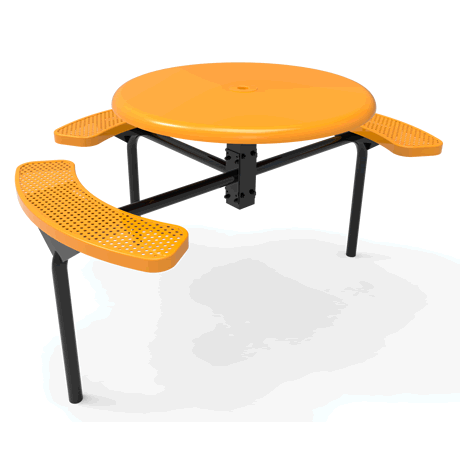 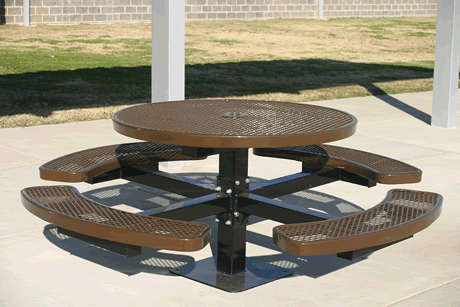 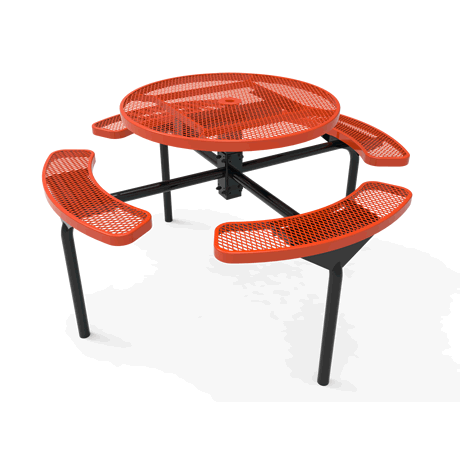 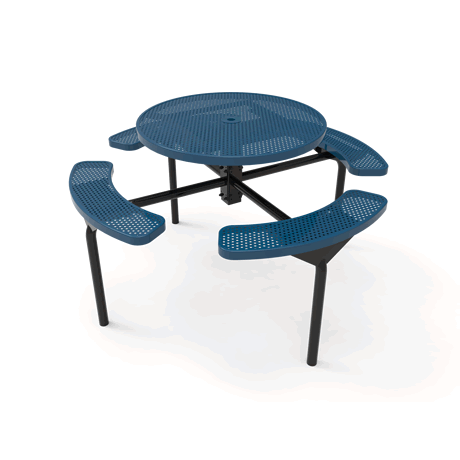 Thermoplastic Coated Tops & Seats with Powder Coated Metal Frames. 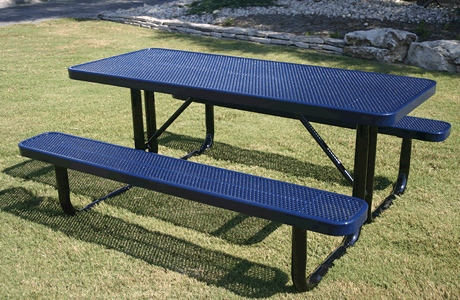 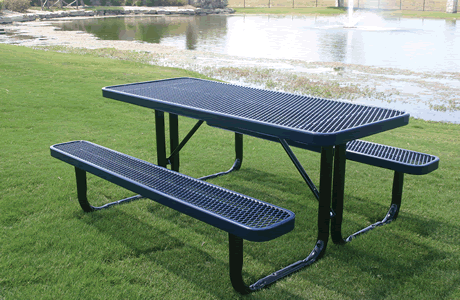 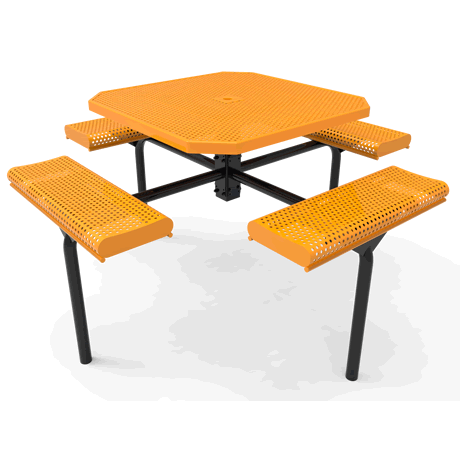 Ensure guests will be delightfully seated while enjoying a delicious picnic with these budget friendly, Thermoplastic Coated Picnic Tables. 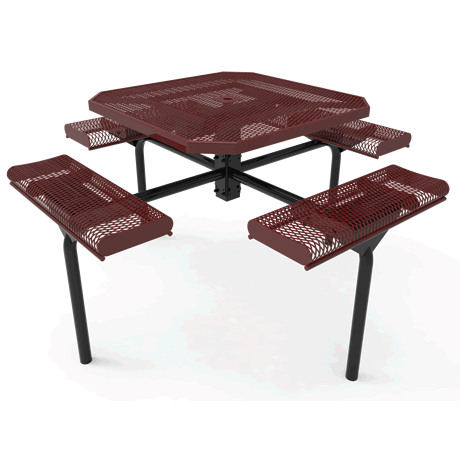 The plastic coatings will keep the surface temperature cool on sunny days. 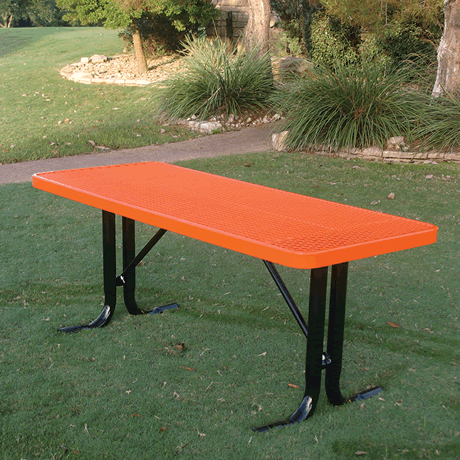 The coating is infused with UV inhibitors so your table will stay brightly colored for many years. 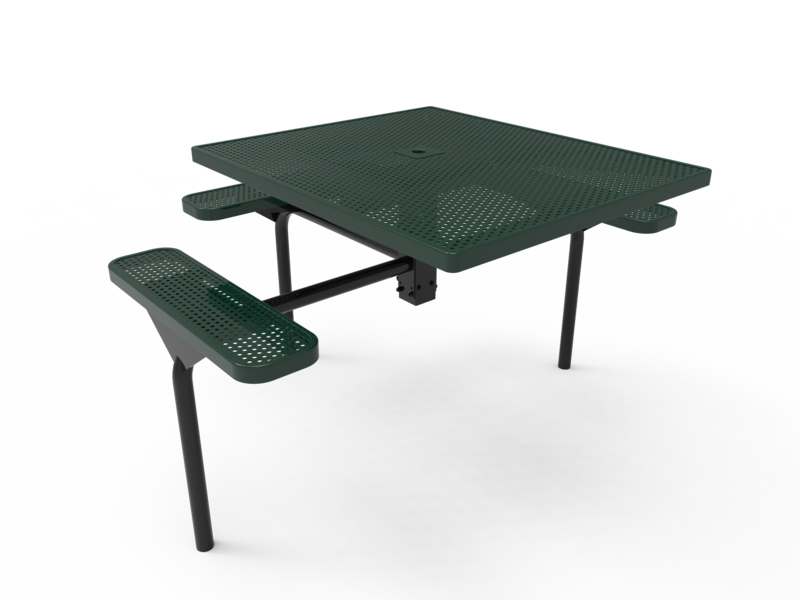 Our leg frames are made from the finest tubing available in the world and of course, Made in the USA. Every part of these tables is 100% American Made! 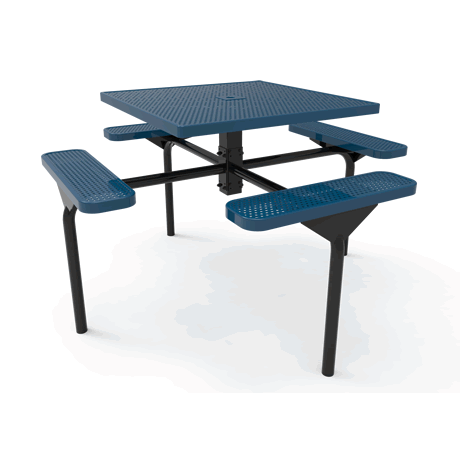 Here are some helpful key points when deciding between Thermoplastic and Plastisol tables. 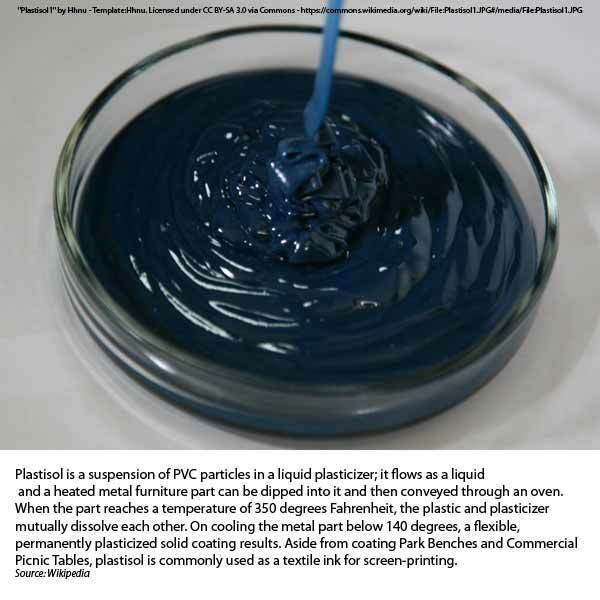 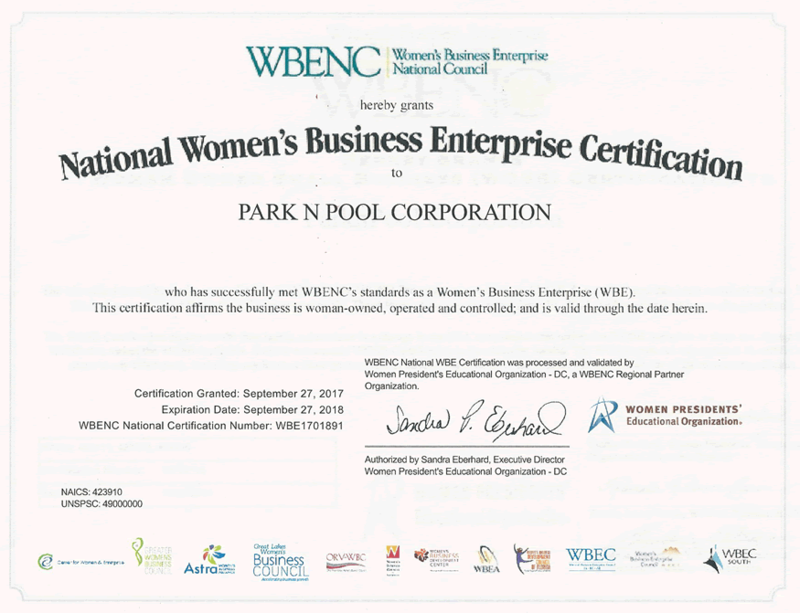 Plastisol is a PVC (vinyl) material. 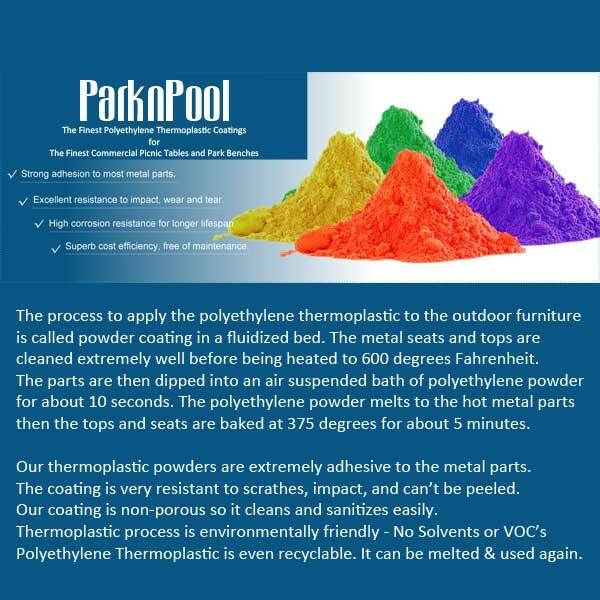 It is "thermosetting," so once it sets up, it can't be remelted. 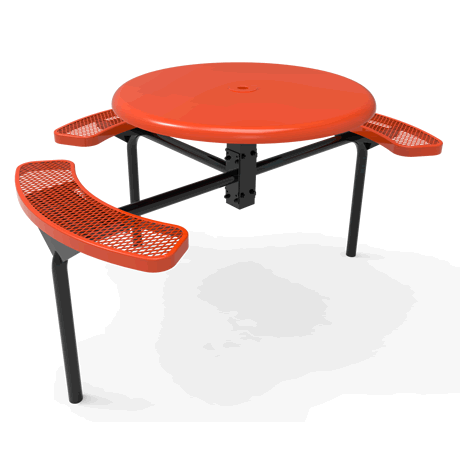 The heated steel parts are dipped into a tub of liquid vinyl and then baked for an extended time. 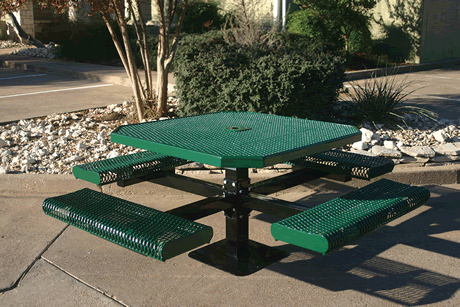 This produces a smooth impervious coating that is between 1/8" to 1/4" thick. 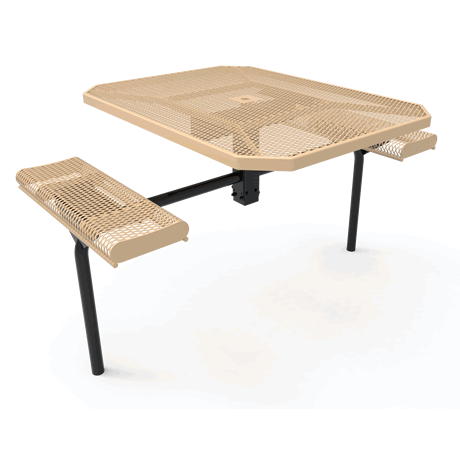 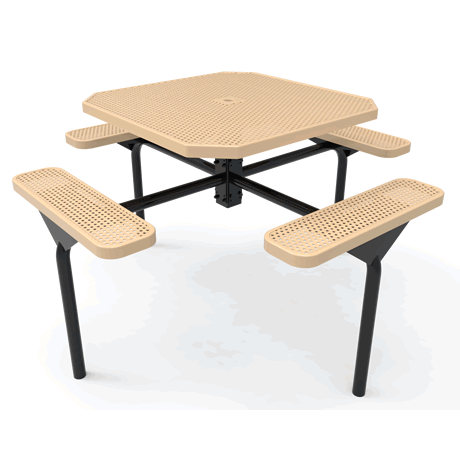 On these premium tables, all parts are plastisol coated, even the legs. 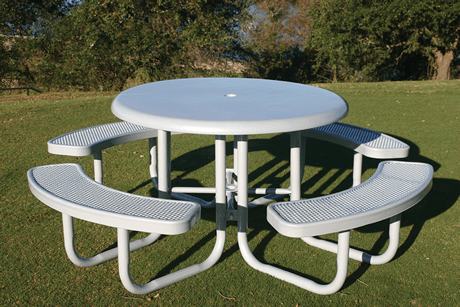 All bolts are Stainless Steel - No rusting! 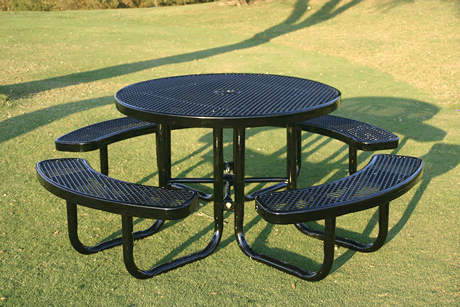 All tubing ends are welded closed so insects, bees, and wasps are prevented from nesting (and stinging). 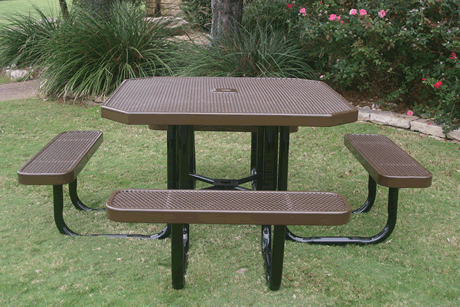 Closed tubing ends also stops rain or saltwater from entering the tubing and rusting it from the inside. 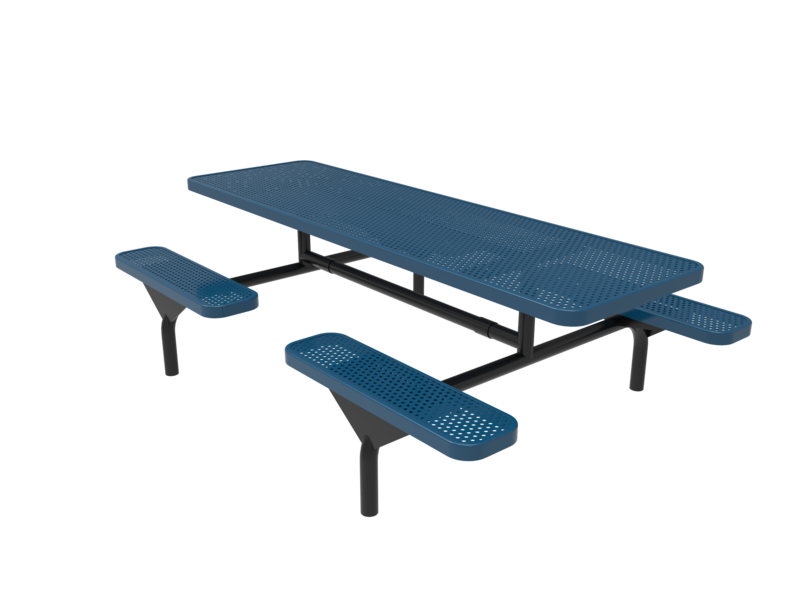 Our Plastisol has non-leaching antimicrobial additives and is UV stabilized. 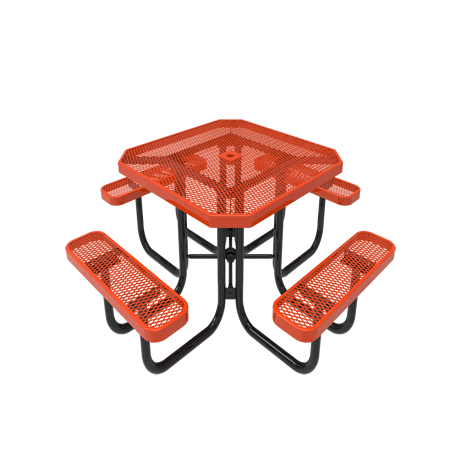 Our Plastisol has a FMVSS 302 fire rating and it will not sustain an active flame. 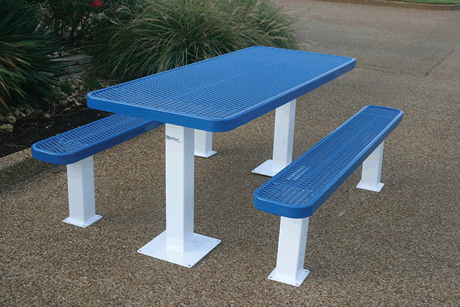 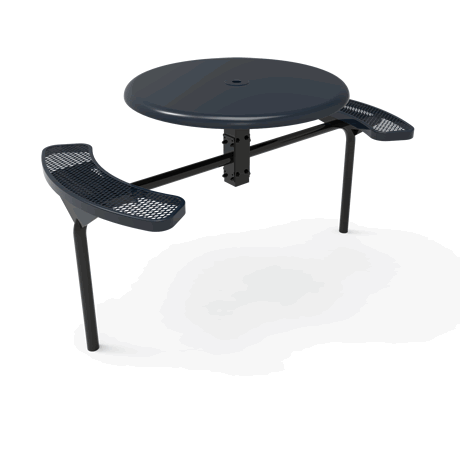 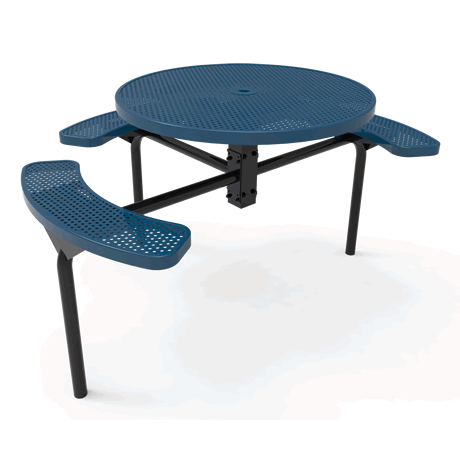 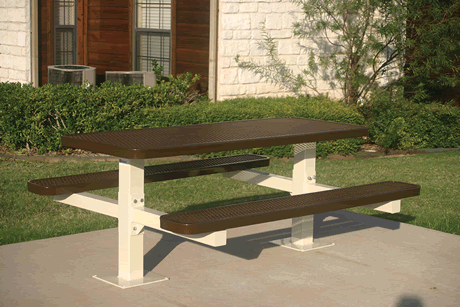 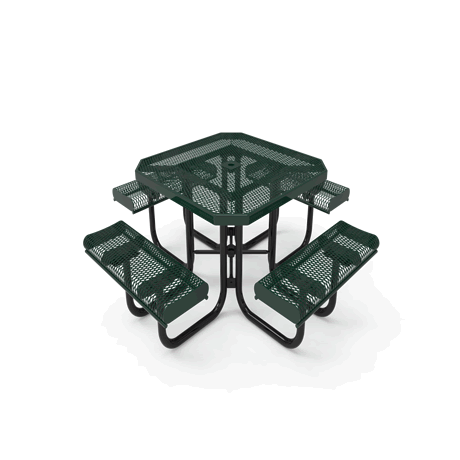 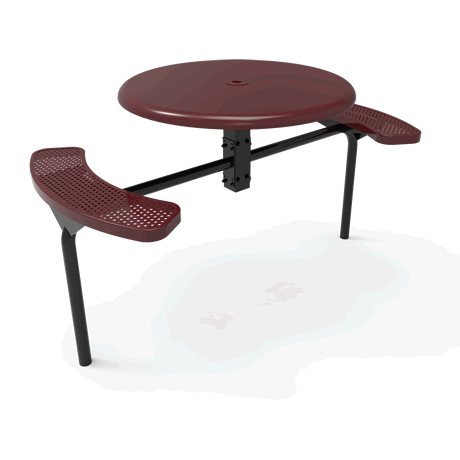 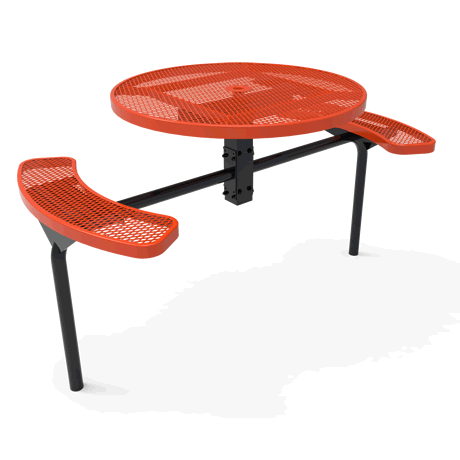 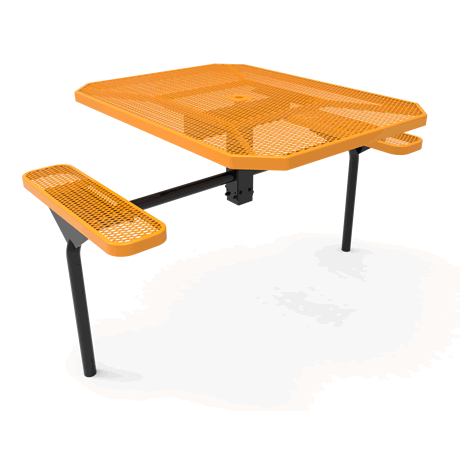 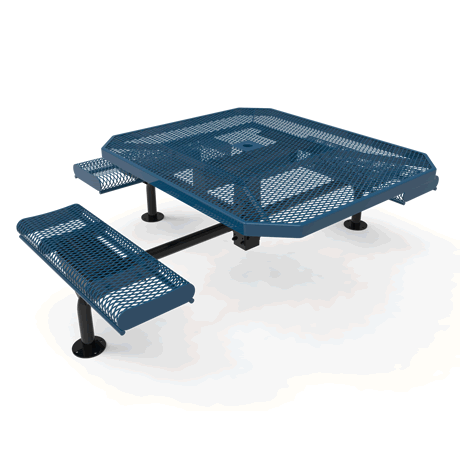 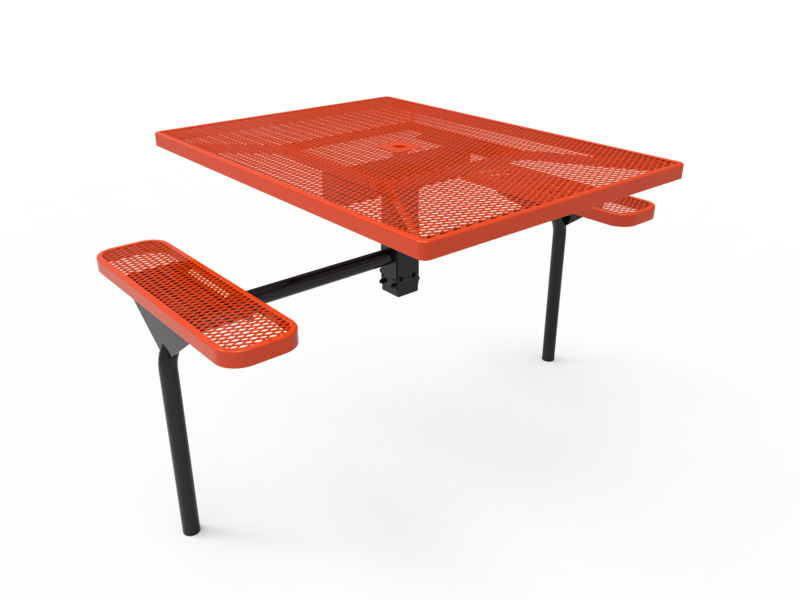 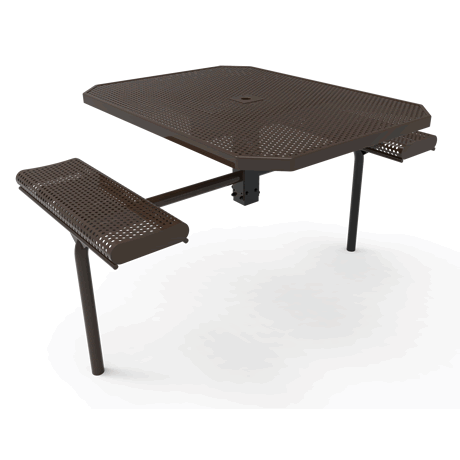 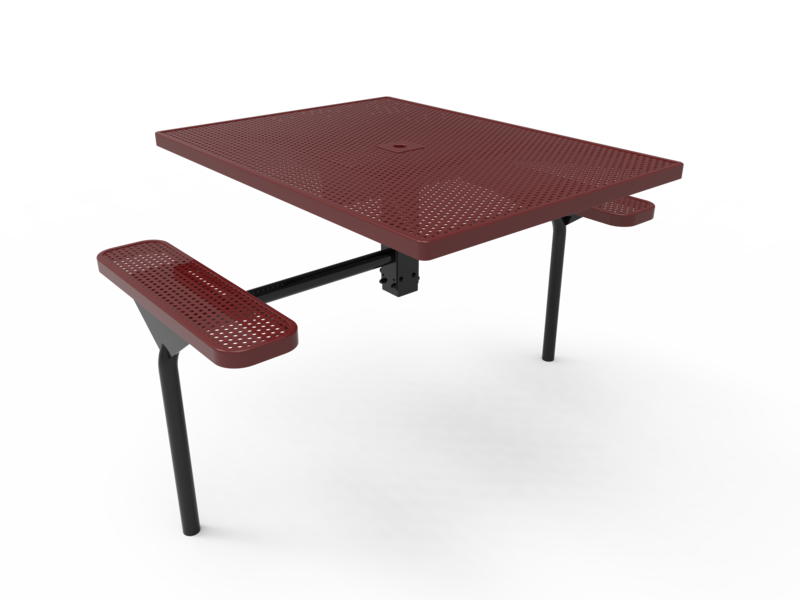 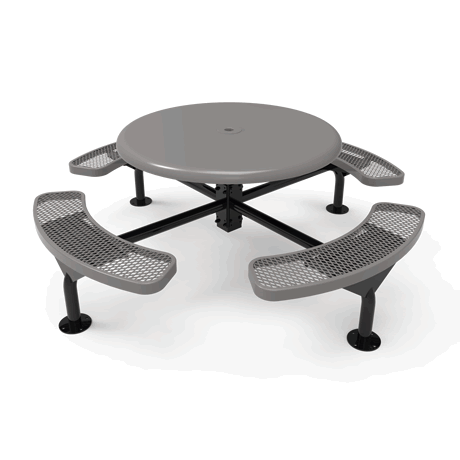 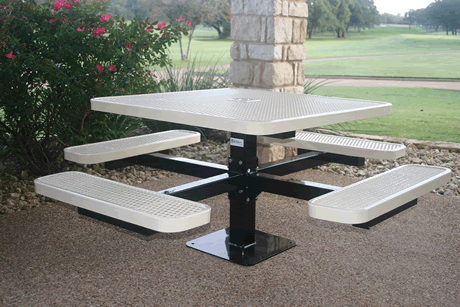 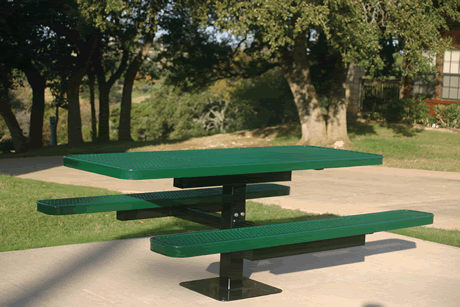 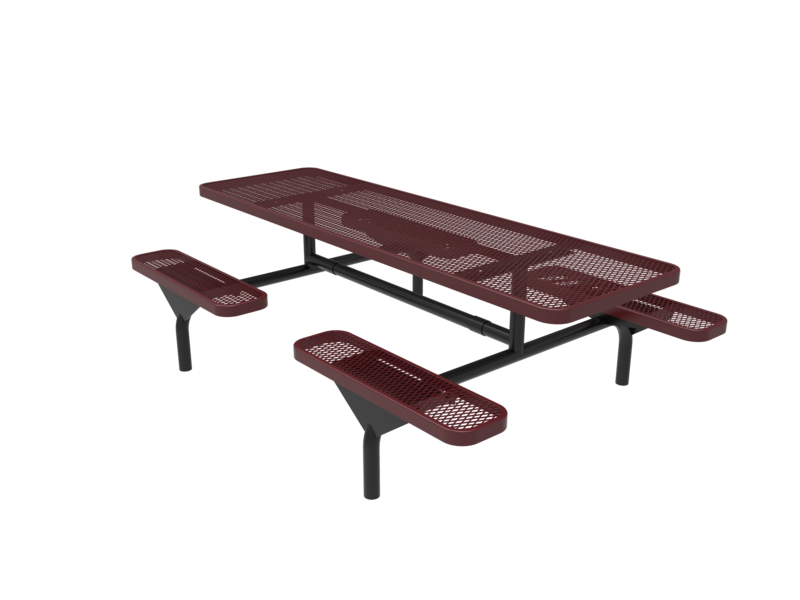 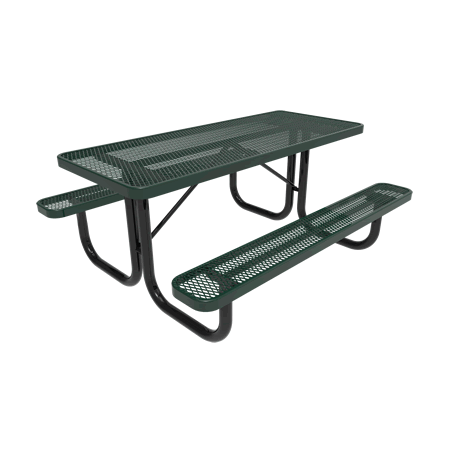 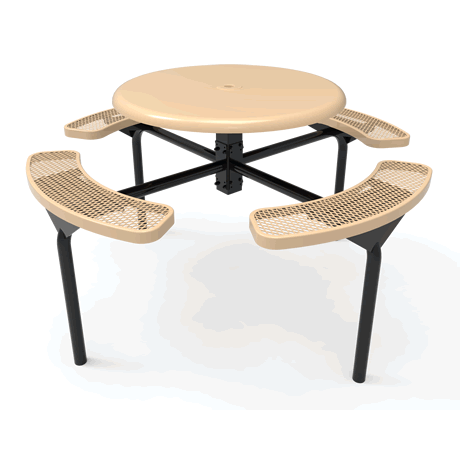 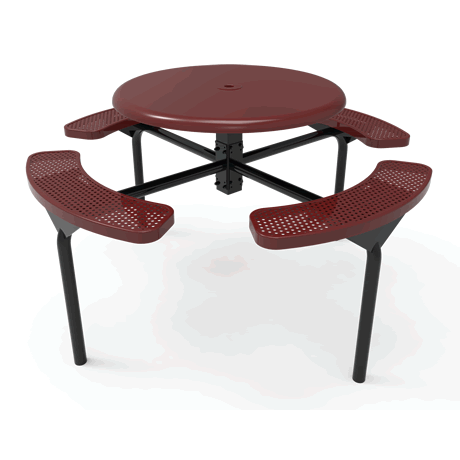 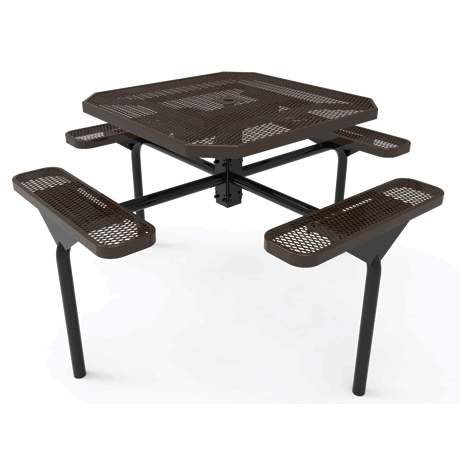 Surface, in-ground, and portable mounts are available, Kids picnic tables and ADA versions are available. 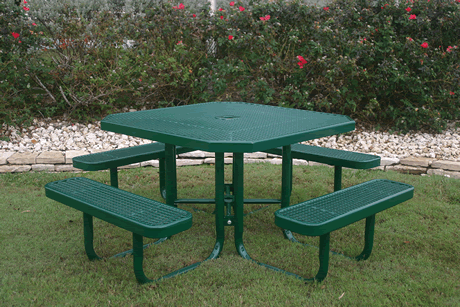 These plastic coated picnic tables are available in a variety of vibrant, fade resistant colors which will brighten any outdoor or indoor space – it’s easy to see why these tables are a best seller. 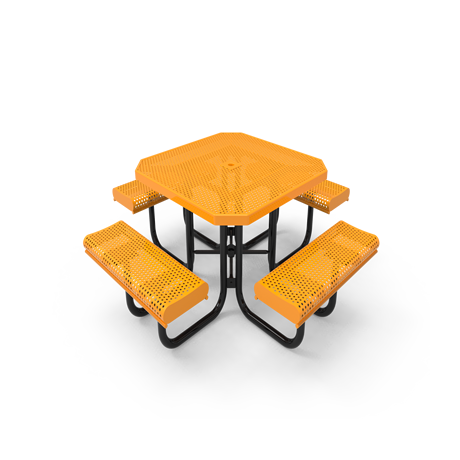 Go crazy with over 200 different color combinations! 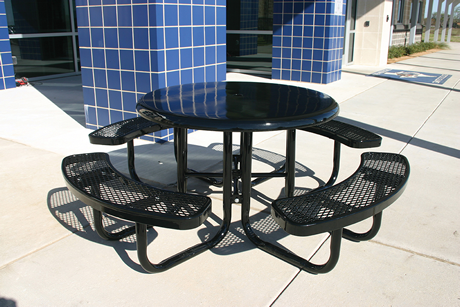 Neither of these plastic coatings will fade, chip, warp, or crack. 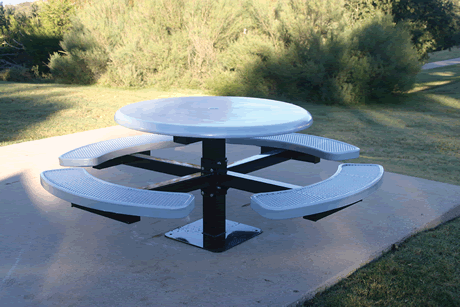 Are you in an area prone to graffiti artists? 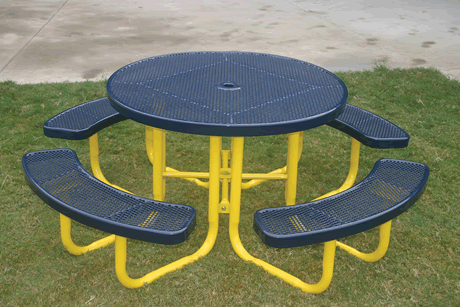 Simply spray WD-40™ on the graffiti and then wipe it off! 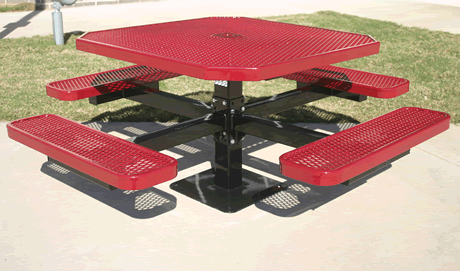 The graffiti will disappear easily! 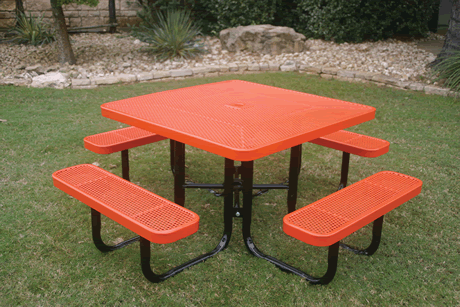 UV inhibitors and fungicides added into the coating guarantees that these outdoor dining tables will stay bright and fun for years! 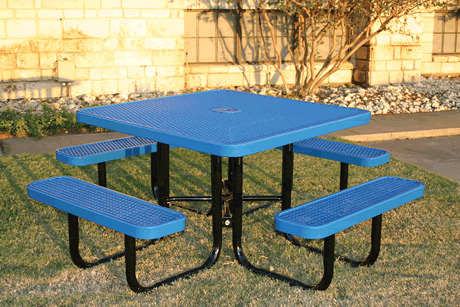 Call and let our friendly sales staff help you choose the plastic coated picnic tables that are right for you!